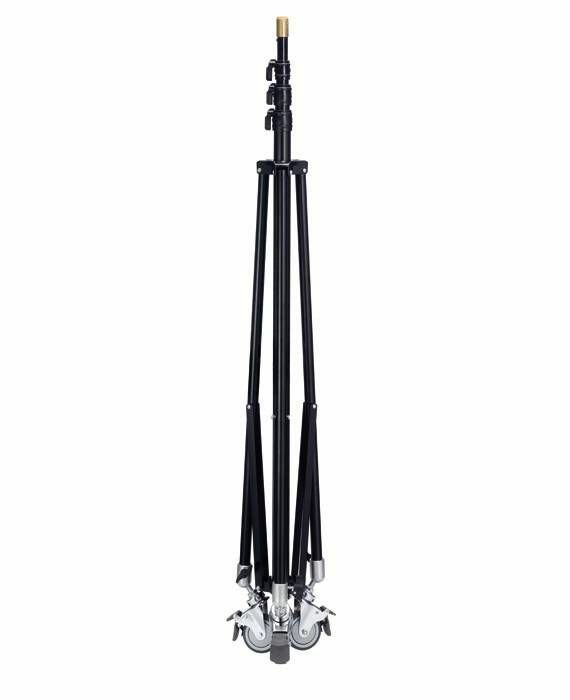 Extendable tripod (up to 4 m) with wheels | Comissionamento de sistemas de ar condicionado | Comissionamento | Aplicações | Instrumentos Testo S.A. Extendable tripod (up to 4 m) with wheels – ideal for measuring at ceiling outlets. The wheels are really easy to attach. Extendable tripod (up to 4 m) with wheels.